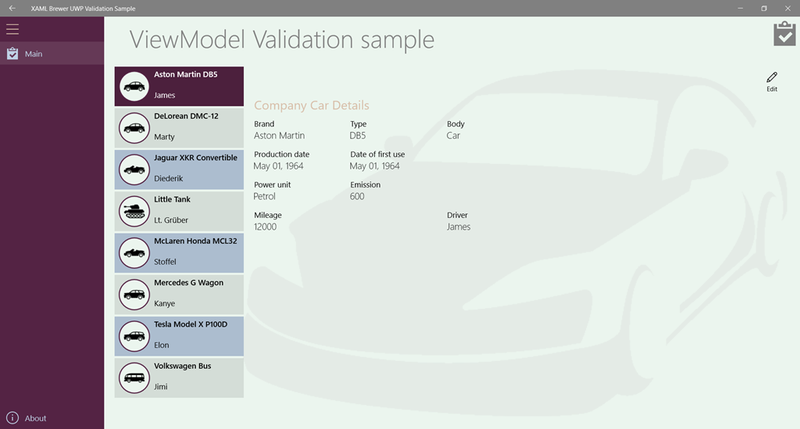 In this article we describe how to implement validation of an object –typically an Entity, a Model, or a ViewModel instance- in a UWP app. We’ll use the Template10 Validation core classes for this. undoing all changes to the instance. When the Edit button is clicked, an edit form pops open inside a content dialog. 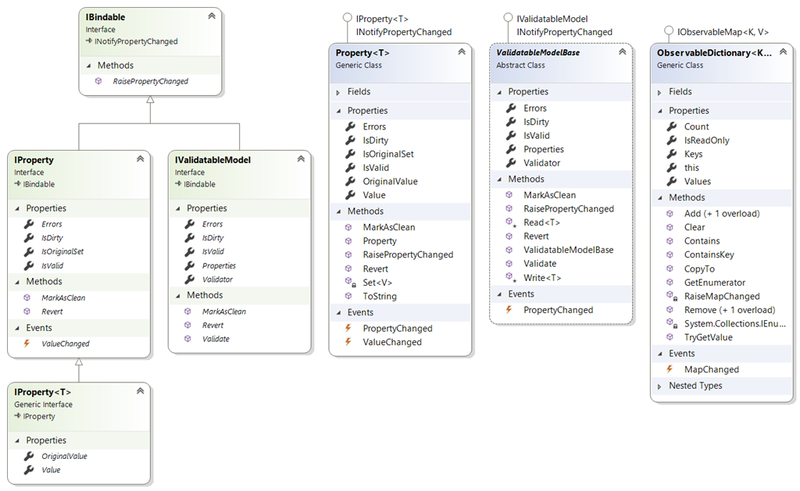 All fields of the ViewModel are editable. 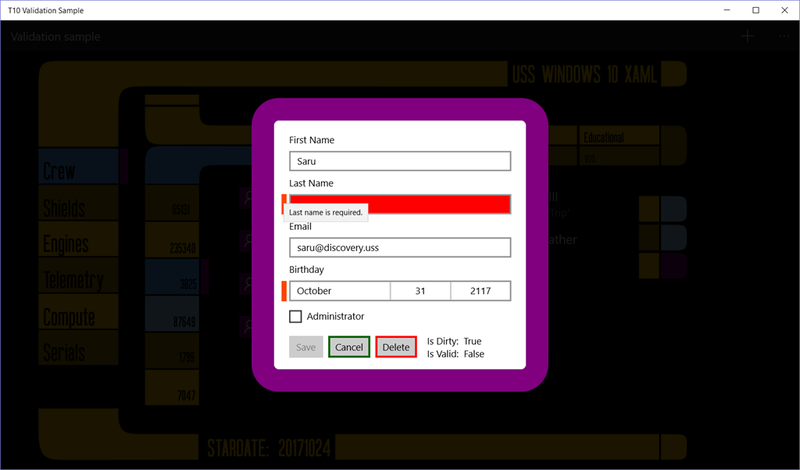 At the bottom of the dialog there are some switches that indicate the state of the instance (whether it was changed in the dialog, and whether it is valid) and a button to reset all fields to their original value. I think this is a quite common use case, especially in enterprise environments. Here’s how I built it. a Revert method to undo all changes. 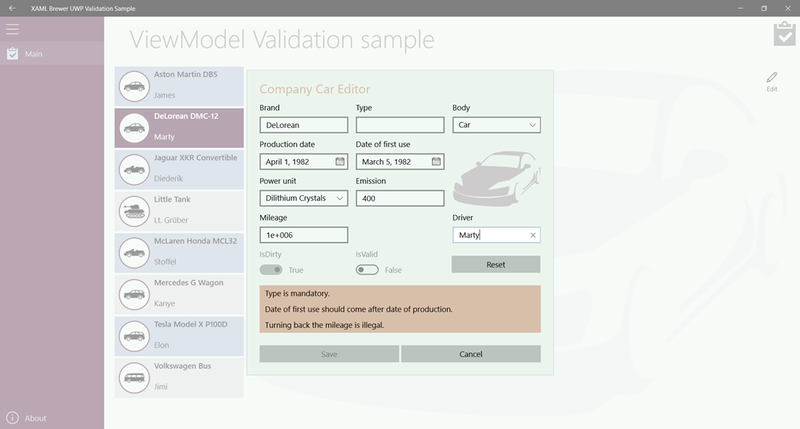 Validations on a single field can be done in many ways with many frameworks, most of which rely on data annotation through validation attributes on the properties. Comparing two fields in a validation rule is a lot more complex (but not impossible, there’s an example of using Prism for this right here). I am not aware of a library that allows to compare the changed value of a field to its original value, except for the bloated self-tracking entities. Nevertheless this is a requirement that I often encounter (typically with counters and dates). I believe that the Template 10 Validation classes provide an excellent service in an elegant way and with minimal impact on your app. // Unfortunately errors have to be assigned to a property. // Compare with original value. The ViewModel is ready now, so let’s provide edit functionality in its most common form: as a modal edit dialog. // Not needed: ValidatableModelBase constructor does this. This requires some extra behaviors and control templates from the NuGet package. 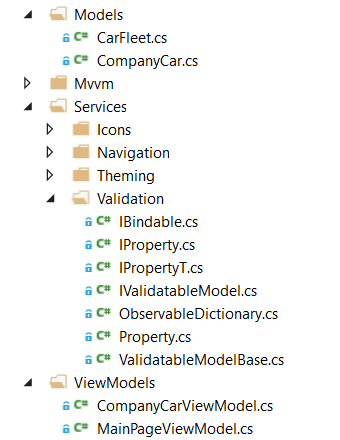 I don’t have these in my own sample app, because I was looking for reusable logic, not UI. My own sample app lives here on GitHub. 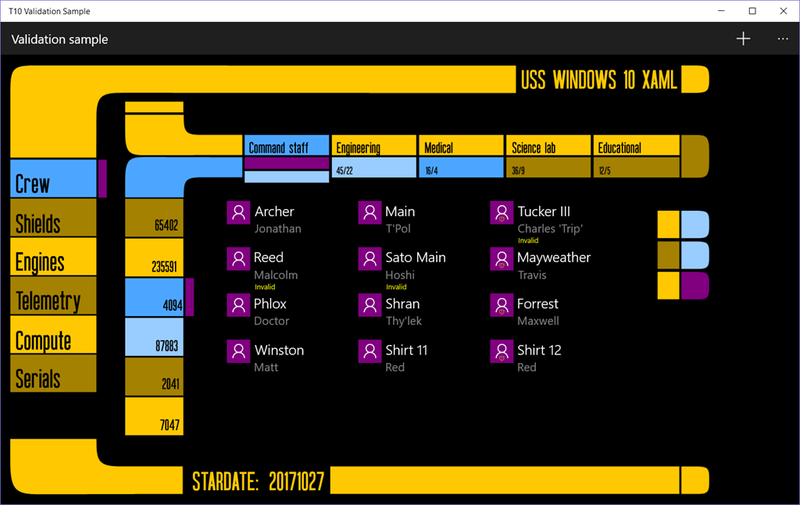 This entry was posted in MVVM, UWP on October 31, 2017 by xamlbrewer.